Not since Saturday Night Live paraphrased a comment in 2008 by then-governor Sarah Palin as “You can see Russia from my house,” has the Alaska-Russia association, or lack of, been more pertinent. And potentially confusing. For those of us who grew up part of the Cold War kids, watching movies like ‘War Games’ or ‘The Day After,’ Russia was a cold, dark, and somber place driven by communism. Now we are raising children ourselves and have to explain acronyms like USSR or KGB when news reports drift back a generation to fill information gaps in today’s current political environment. 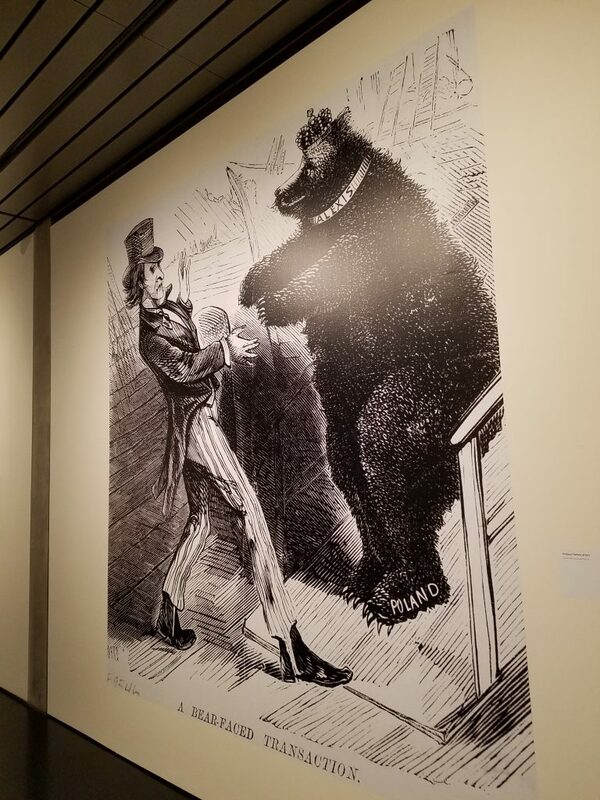 How appropriate, then, for the Anchorage Museum to roll out their latest curated exhibition, Polar Bear Garden: The place between Alaska and Russia at a time when fake news and real news seem intertwined in a hurricane of media debris. 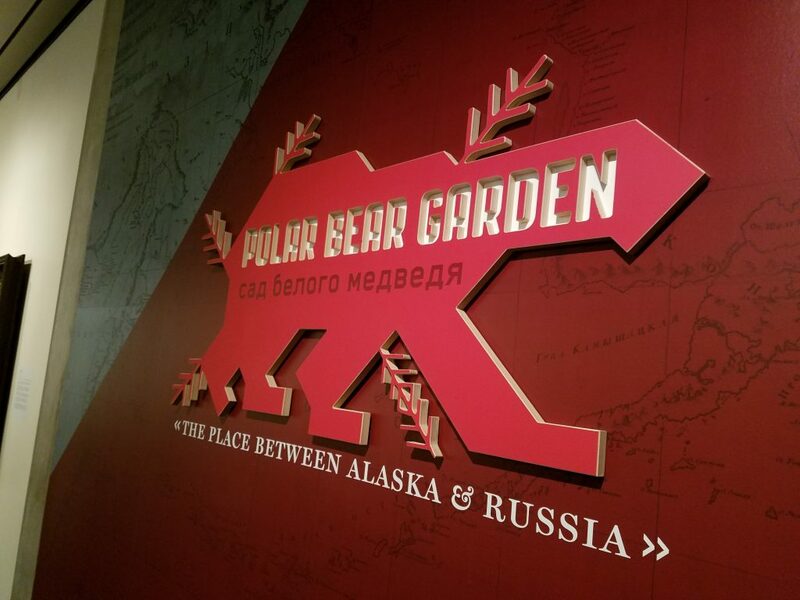 Open now through September 17, 2017, Polar Bear Garden explores correlations between Alaska and Russia since the first minute of purchase 150 years ago through art, film, photographs, and Cold War propaganda. It also makes connections to which kids can relate. 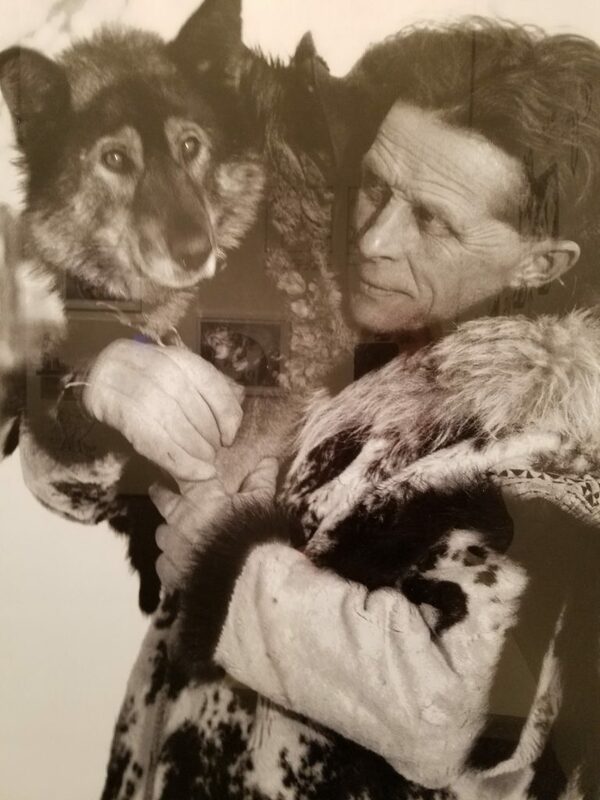 Your youngsters may know the story of Balto and the serum run to Nome in 1925, but do they know what happened to him and his master once word of the success reached the Lower 48? How about seeing the actual check written by the United States to Russia for a sum of $7.2 million? Or the first dogs to fly into space? That’s right, dogs, and they weren’t American. Polar Bear Garden reflects past paranoia and the overwhelming sense of urgency to be “first, best, brightest” in the face of a growing arsenal of nuclear armaments during the 1960’s-1980’s. It also shows Alaska kids just how frayed the Soviet-American relationship has been right here at home, when the “ice curtain” fell between Little and Big Diomede Islands, drawing a border line with Little Diomede in the United States, and Big Diomede in Russia – 2.4 miles apart. Trouble was, some people had family members on both islands. Physically, Russia and Alaska are cousins in the global family of northern climates, and temperatures are not overlooked in the Polar Bear Garden, either. Like the similarities of Alaskans and Russians in their penchant for consuming ice cream; more than anyone else on the planet. Or how we like to wear furs, and do crazy things in the cold weather. Yes, there may be more similarities than we might think. Best for kids age 10 and up, Polar Bear Garden is not a large exhibit, making it perfect for families to visit before or after exploring other areas of the museum. 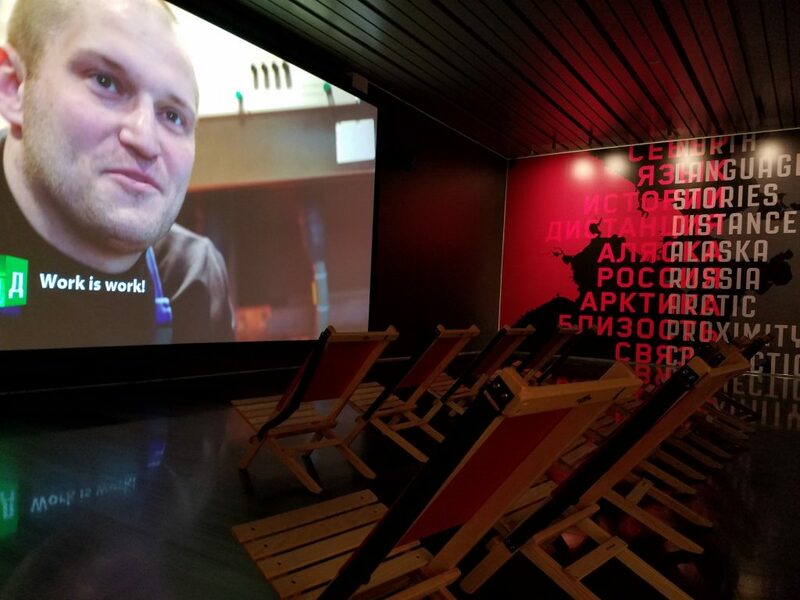 Take time to sit and watch the films broadcast on the large walls, and watch a news clip in which Vladimir Putin is quizzed about his desire to reappropriate Alaska. Allow an hour to embrace the full spectrum of sights and sounds. 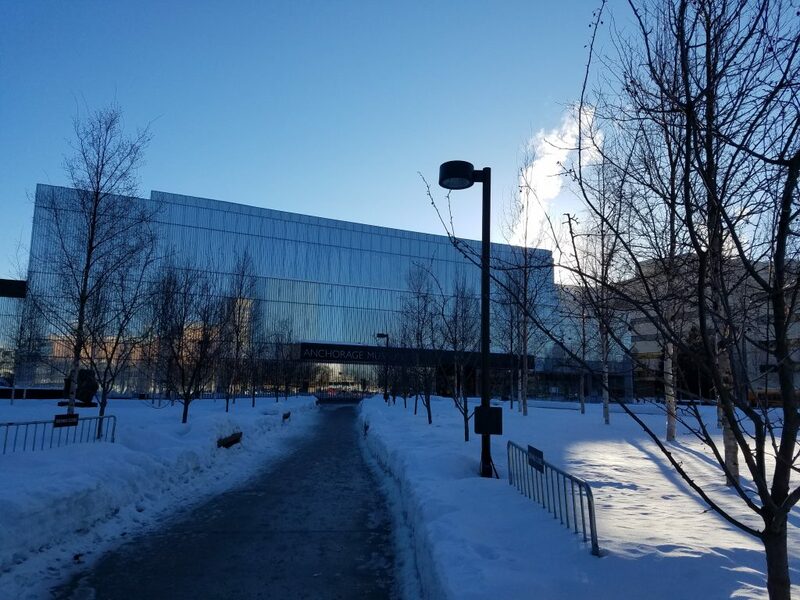 The museum will also be hosting several public programs while Polar Bear Garden is on exhibit, including talks by experts on Russian-U.S. relations, screening of feature films from the Cold War era, musicians, and art classes. Polar Bear Garden is a thinking exhibition, one that families should visit together, and take time to talk about afterward. Topics like war, the definition of propaganda, and communism are concepts that made up a segment of time most kids are unaware of, and it deserves discussion. 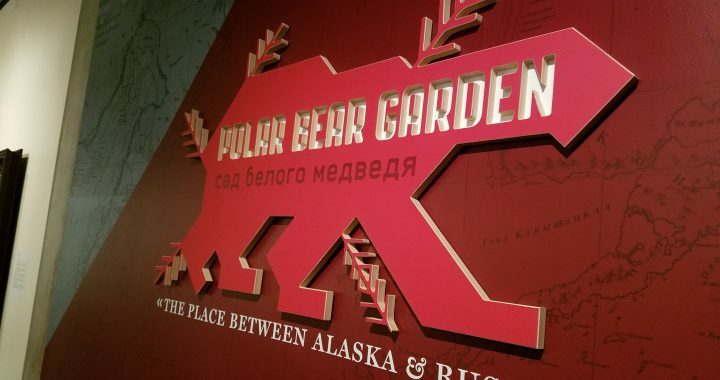 A thoughtful exhibition that is sure to answer questions and perhaps inspire even more, Polar Bear Garden meets Alaska and Russia at an intersection both physical and philosophical. It is pertinent, timely, and worth a visit. 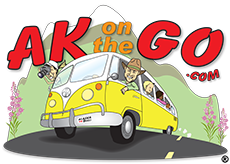 Posted in Downtown Anchorage, Museums and tagged Alaska, Alaska with Kids, Anchorage, Anchorage Museum, Cold war history, Family Travel, Polar Garden, Putin, Russia, Sarah Palin.